Jaye Nolan, Festival Director of the Rochester Literature Festival, has been selected by the Kent Baton to open their Sparks Fuse Festival project, One Day Works. Jaye’s short term residence in the Baton – a vintage silver airstream caravan converted to a mobile art centre – is on Wednesday, June 4th from 11am – 6pm. It will be located outside Permark Post Office in Walderslade Village and its activities will be suitable for all ages and all abilities. No previous experience is needed, just turn up and play around with some words. 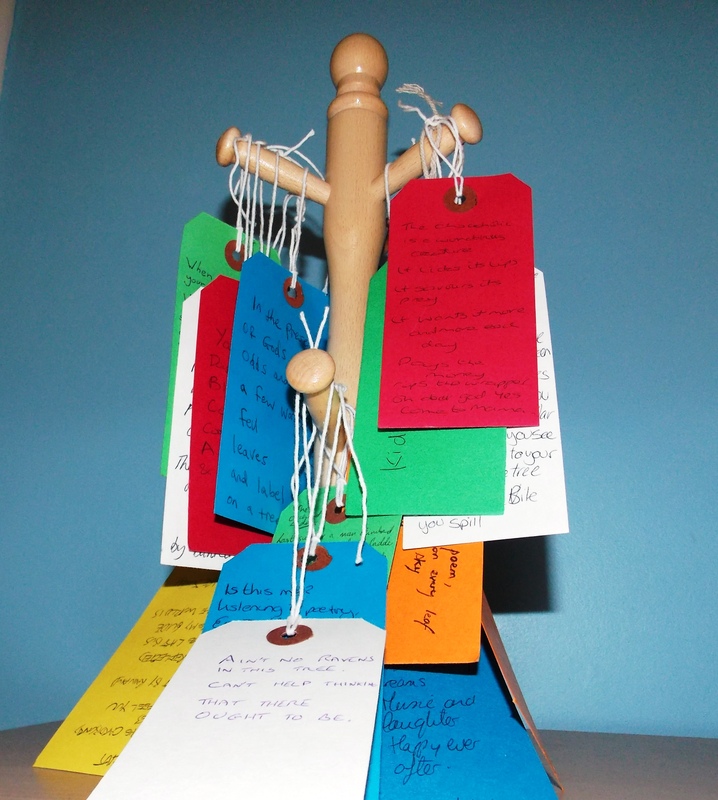 Turn over a new leaf: Add a poem, wish or favourite saying to a luggage label leaf you create and hang it on a Poetree. A Novel Experience: Bring your favourite book and write an original short piece based on its premise. Mystery Collective Poems: Add a line to the one before – it’ll be the only one you can see! If and Then: A question and answer session with a difference. One Day Works will host a series of one day experiments throughout Medway during the Fuse Festival and its build up. From urban high streets to country villages, the project will showcase ten of Medway’s finest creative talents across a range of art forms. Along with the The Word Play Wagon, the works include an epic poem, sculptures made from found objects, archival collections, insect inspired costumes, drawings made from thread, an acoustic live music gig and a magic lantern performance. All activities are free. Prolific writer and blogger who has been championing the rich, diverse culture of Medway for the last six years. Festival Director for the Rochester Literature Festival; TV Blogger at Yahoo; Online Editor for WOW Kent. Passionate about music, theatre and dance, she shouts regularly at the television during reality shows. Medway Messenger Community Correspondent for Rochester, Upchurch, Upnor & Shorne. This entry was posted on 30/05/2014 by Jaye in Creative and Art Events, Creative and Art News, Creative Opportunities and tagged fuse festival, Literature, Medway, writing.